George MacDonald was a spiritual and literary forbear of writers such as C. S. Lewis, W. H. Auden, G. K. Chesterton, and Madeleine L’Engle. 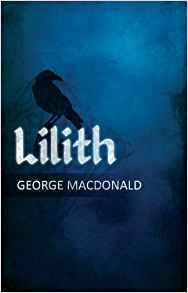 “Lilith” is the account of a man who has never thought much about the laws of nature or his place in the universe or much of anything for that matter. Then, while minding his own business in his own home and his own library, he suddenly finds himself face to face with another world. It is his own world, but he had never known there was more to it. Likewise, he discovers that there was more to himself. But first he must meet Lilith, and find his way, and himself, in the swirling relationship between her, Adam and Eve, and God himself.